Various traditional and folk groups will pay homage to late Dr. the Hon. Olive Lewin, at a Wake/Set Up scheduled for Thursday, April 25, at the Ranny Williams Entertainment Centre, 36 Hope Road. The event, from 6:00 p.m. to midnight, will feature tributes in song and dance from the Jamaican Folk Singers, which Dr. Lewin formed in 1967, and some of the traditional groups, among which she did research and from which she drew inspiration. 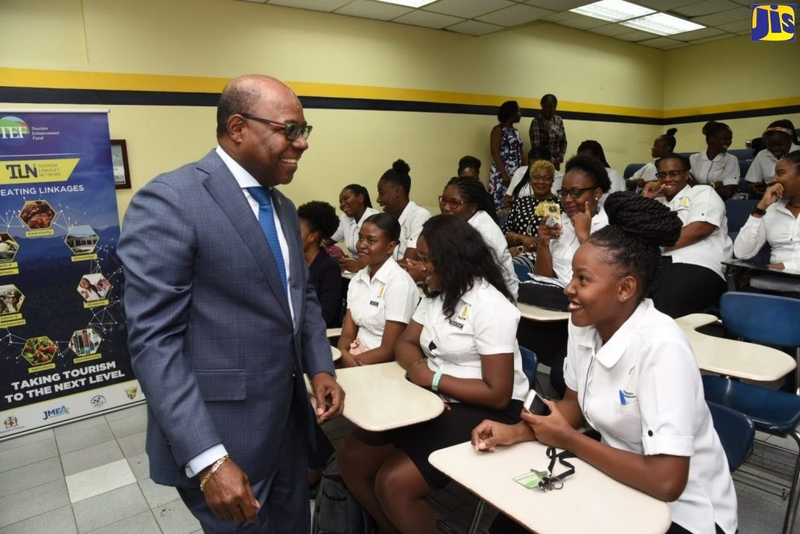 The ‘set up’ is organised by the Institute of Jamaica (IOJ) in collaboration with the Ministry of Youth and Culture, the Jamaica Cultural Development Commission (JCDC), the National Library of Jamaica, and with support from GraceKennedy Limited. The African Caribbean Institute of Jamaica (ACIJ)/Jamaica Memory Bank (JMB)will mount an exhibition featuring the instruments used in the folk music forms that Dr. Lewin documented in her many years of folk research. The Creative Production and Training Centre (CPTC) will also show a multimedia presentation on her life and work. Dr. Lewin, one of Jamaica’s most respected ethnomusicologists and folklore researchers, passed away on April 11 at the University Hospital of the West Indies, St. Andrew. She was 85 years old. Hailed as a pioneer in popularising folk music, Dr. Lewin was probably best known for her recorded anthologies of old Jamaica folk songs, researched and collected over her lifetime. She authored eight books and numerous articles, and she has made numerous recordings of folk music. She is most memorable, for performing with the Jamaica Folk Singers, which she founded over four decades ago. The Government has accorded an official funeral for the late folklorist and cultural visionary, which takes place on Saturday, April 27, at the University Chapel in Mona. The service begins at 1:00 p.m., following musical tributes at 11:00 a.m. In recognition of her contribution to preserving Jamaica’s cultural heritage, the IOJ honoured Dr. Lewin with its Centenary Medal in 1981, Silver Musgrave Medal for contribution to Music (Folk) in 1970 and the coveted Gold Musgrave Medal for her contribution to music in 1987. A condolence book will be opened at the IOJ for members of the public to sign. The book will be present at the wake on Thursday evening.